Alison Lynn, MSW, LCSW is a licensed clinical social worker and the Associate Director of Social Work at the Penn Memory Center. 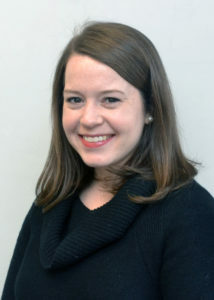 Alison earned her Master’s in Social Work from the University of Pennsylvania in 2016, and completed her clinical training at the Penn Memory Center and the Section of Geriatric Psychiatry. Alison provides counseling, education and individual psychotherapy to patients and their family caregivers, and supports PMC’s Memory Café, Caregiver Class, and monthly support groups. Alison also works to recruit and schedule participants for the NACC research program.